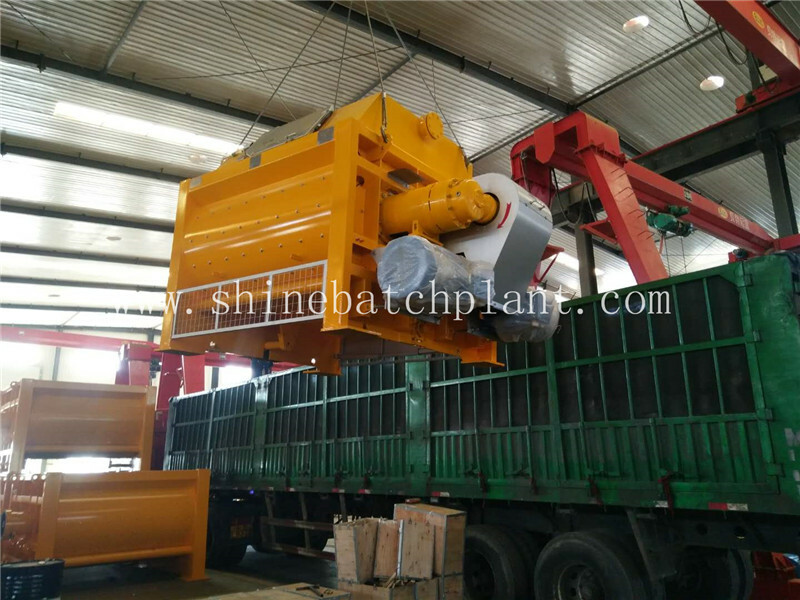 JS1500 twin shaft cement mixer for Concrete Mixing Plant is the most popular construction concrete mixer for Concrete Batching Plant. 1. Shaft end sealing adopts pressure difference and multi-heterodyne sealing technology to extend shaft end's service life. 2. National patented taper mixing arm which can easily disassembled. 3. National patented monitoring system to control every part of mixer, such as hydraulic pump, gearbox's oil temperature, oil level, which helps user see its condition directly and clearly. In this way, the machine's service life can be extended substantially. 4. 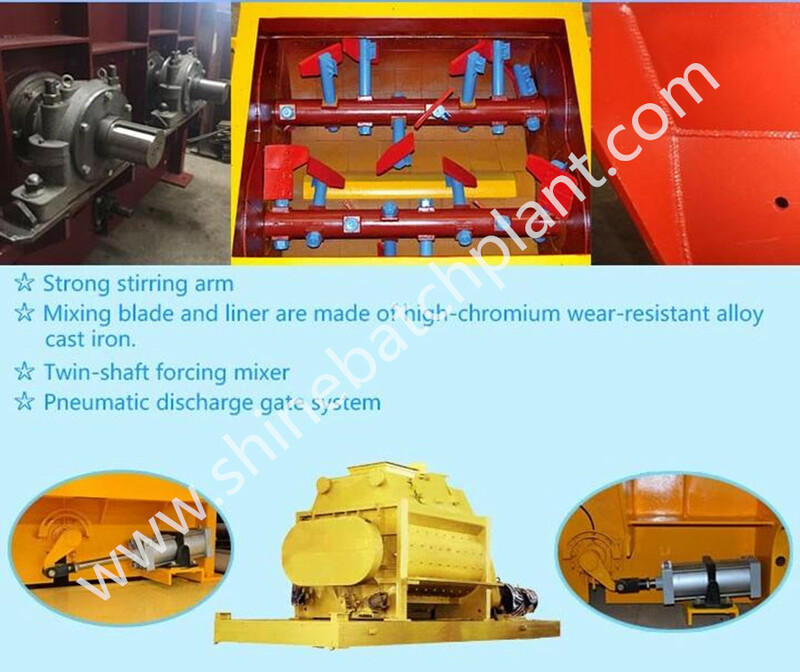 Advanced hydraulic pressure system is adopted to open and close the discharging door. Under the situation of sudden power failure, the manual pump can be used to open the discharging valve for emergency discharge to avoid agglomeration. 5. 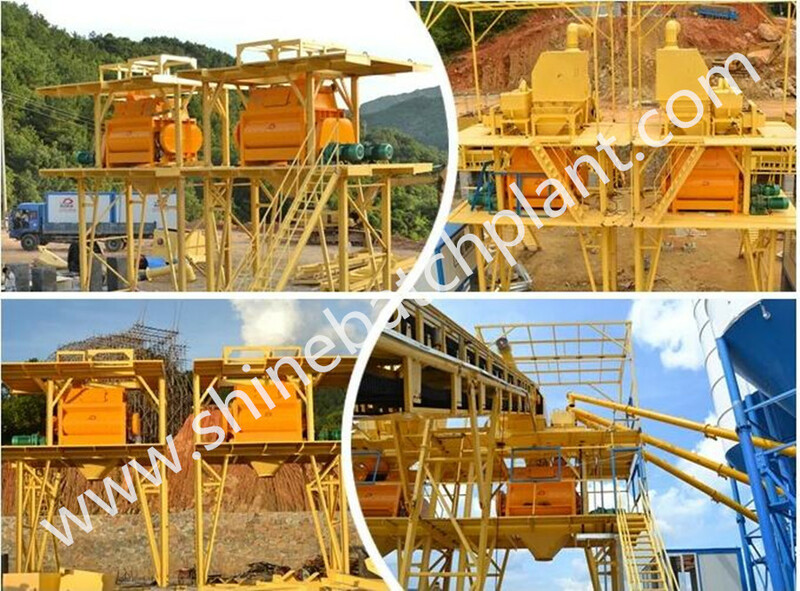 Lubrication system to make the mixer service a long life. 6. Security protection device to keep the safety of maintenance stuff. 7. Water spraying by multiple tube and circuit system. 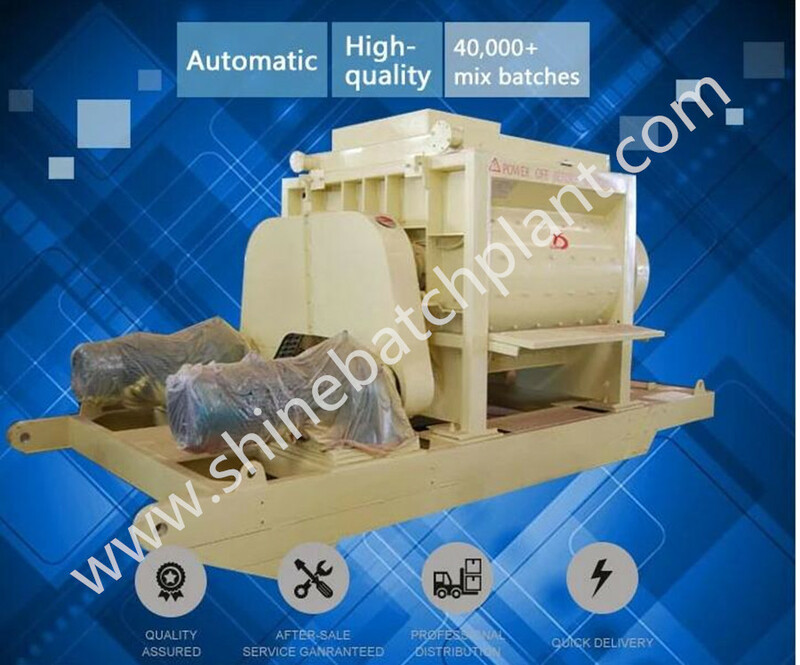 Looking for ideal 1 Yard Cement Mixer Manufacturer & supplier ? We have a wide selection at great prices to help you get creative. All the 1.5cbm Cement Mixer are quality guaranteed. We are China Origin Factory of 1.5 Cubic Metre Cement Mixer. If you have any question, please feel free to contact us.